I am absolutely obsessed with this Thayer's Witch Hazel Toner. I love that it is organic and alcohol free. This is the second bottle of Thayer's that I have purchased. I bought my first bottle at Walgreens, which is the only drugstore I know that stocks it (and only a few Walgreens do). This bottle I purchased on healthdesigns.com. What is witch hazel liquid? Witch hazel water is the liquid made from the witch hazel shrub's dried leaves, bark, and partially dormant twigs. 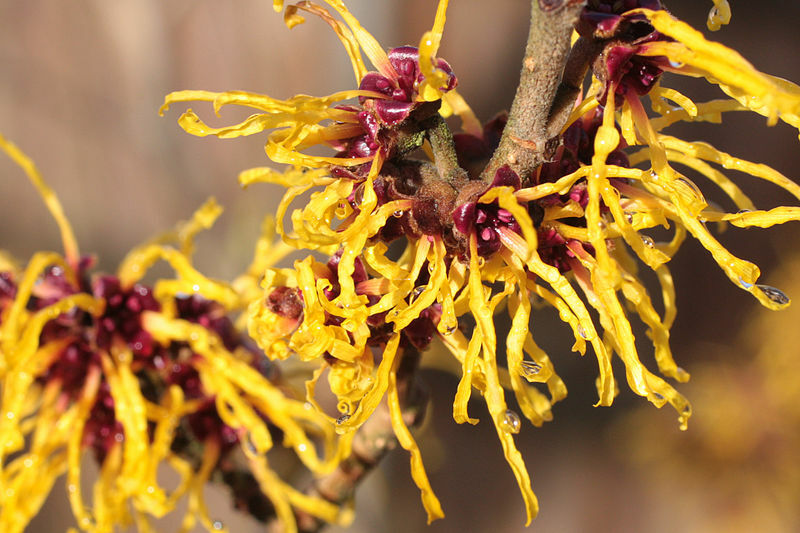 Witch hazel is a natural astringent that tightens skin and pores, which makes it a good choice for skin-toning. Additionally, witch hazel is anti-inflammatory. 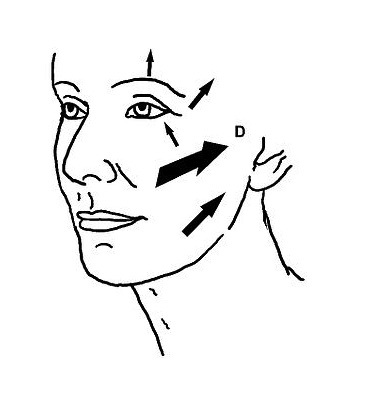 Three reasons to tone: 1) cleanses; 2) balances skin's PH; and 3) tightens pores. Lots of people leave toning out of their cleansing process, but skin toner is a necessary and essential step in daily skin-care. For one thing, a toner will remove any remaining bits of cleanser, oil, dirt and debris left behind by the cleanser and your limited fingers. Trust me, wash your face as you usually do, then tone with a cotton ball. After you have swiped your whole face and neck, look at the color of your cotton ball -- it's not sterile white anymore, right?! Super eww, but at least you're not going to bed with that grit still on your face, or worse layering serum and moisturizer over it and possibly clogging your pores that could lead to blackheads and breakouts. For Dermatologists like Dr. Murad, M.D. who backs those of us on the pro-toner side -- "using a toner is just as crucial as cleansing, as it restores the skin's natural pH balance". Toner will help soothe, nourish and hydrate the skin while restoring its delicate pH balance -- when it is less prone to breakouts and better able to absorb your serum and moisturizer's skin healthy ingredients. Why stay away from toners that contain alcohol? Toners that contain alcohol can be extremely drying, ultimately causing more oil production and even breakouts and other irritation. I love this Thayer's Witch Hazel because not many drugstores stock alcohol-free witch hazel. Witch hazel liquid alone is astringent enough, and any other drying ingredient can cause skin irritation and damage. How to do you apply toner? Get a cotton ball and soak up some of the solution. Do not over soak the cotton ball or else you will just slopping the liquid all over your face, but don't be stingy either because it will be useless to drag a dry cotton ball over your face. Swipe the moistened cotton ball in an outward and upward motion. I start where my pores are the largest -- my nose and cheeks. Squeeze the juice of one organic lemon. Strain the lemon juice to get out all the pulp and seeds. Then, I mix the lemon juice with purified water to make a 1:3 ratio of lemon juice to purified water. Then, add a tablespoon of raw manuka honey. Mix thoroughly and store in a plastic bottle in the refrigerator. As always, remember to test on a small area first. The acid in the lemon helps brighten skin tone, and fade scars and dark spots, while the honey has astringent and antibiotic properties! 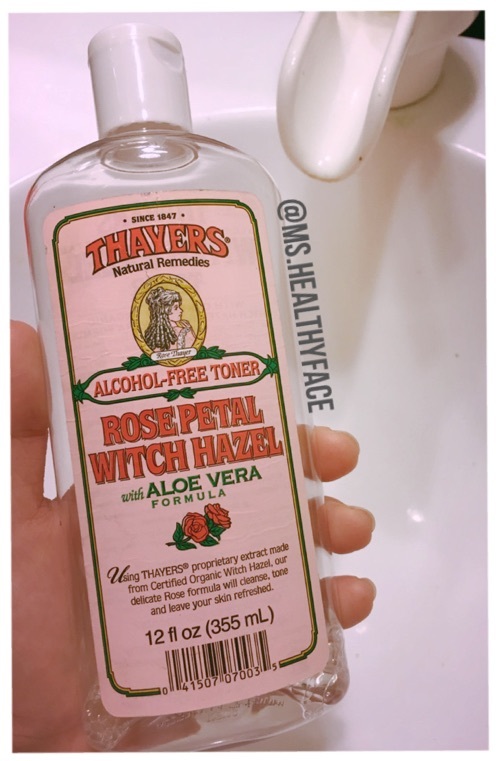 Thayer's Alcohol Free Witch Hazel Toner, Rose petal -- $7.99 via healthdesigns.com -- Use promocode "mshealthyface" for $5 off!